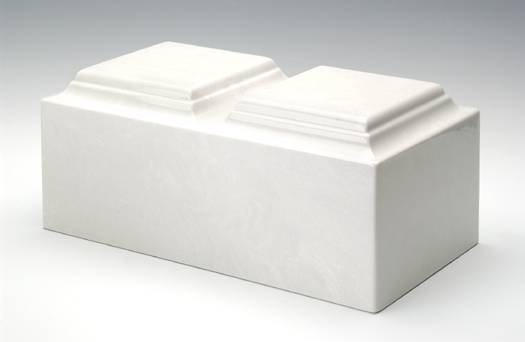 The New Niche Size Companion Cultured Marble Urn is designed to fit into many niches large enough for two sets of cremains. It is crafted from cultured stone which is a combination of crushed marble, designer resin, and color pigments which emulate natural marble stone. 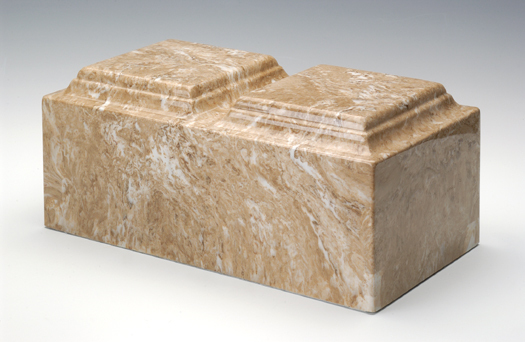 Please note that the veining patterns and color in the cultued marble will vary with each urn just as in natural stone. 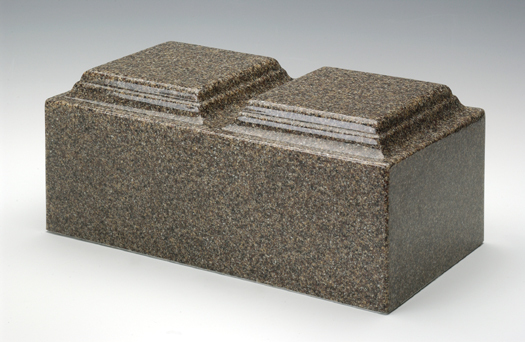 Cultured granite is more uniform in color with just tiny specks of other complimentary colors. Cultured stone is valued for its inherent beauty and durability. This companion urn is available in several colors: Please click on the small pictures to view larger images of available colors. 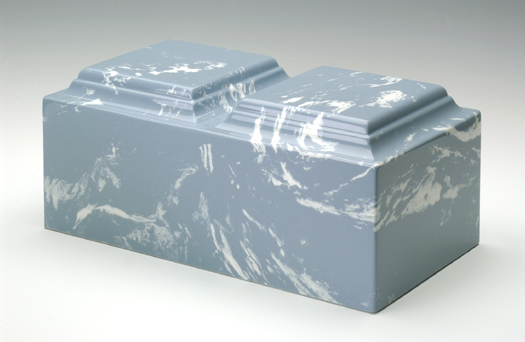 This is a new item so we don't have photos of this style urn in the various colors yet. So we are using our old pictures so that you can see the various colors. With this urn you have the choice of one large compartment or two separate compartments. Please make your selection when ordering. 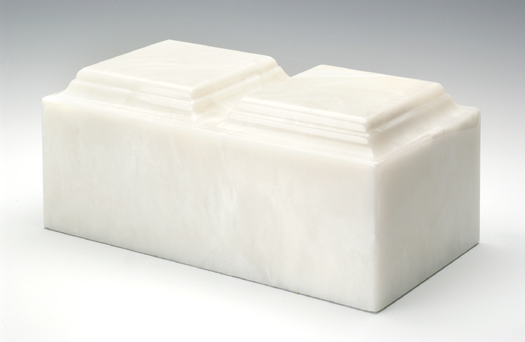 The opening(s) are on the bottom of the urn and secure with threaded plugs that are 2.5" in diameter. 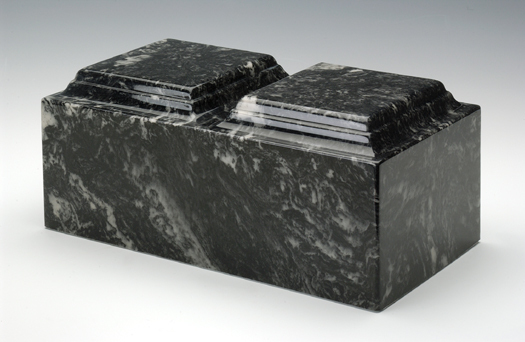 There will be one opening for urns with one compartment and two openings for urns with two compartments. Any of these cremation urns can be personalized with names, birth and passing dates, a short endearment, and a clip-art for an additional fee. 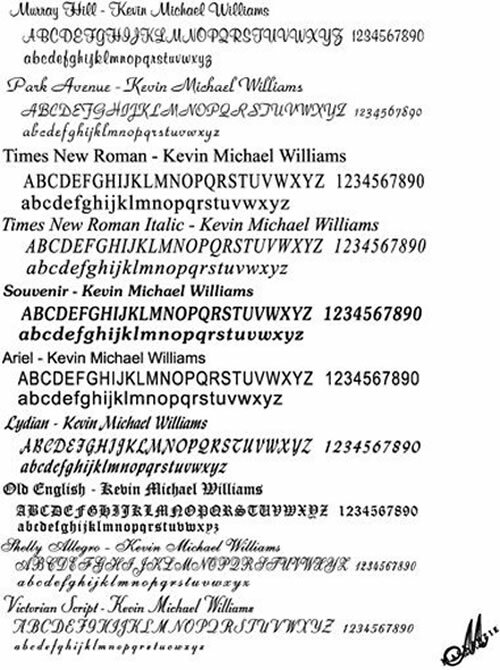 For clip-art, please specify what you would like and we will send you some images to choose from (example: An angel, rose, cross, military service emblem, motorcycle, sailboat, etc). 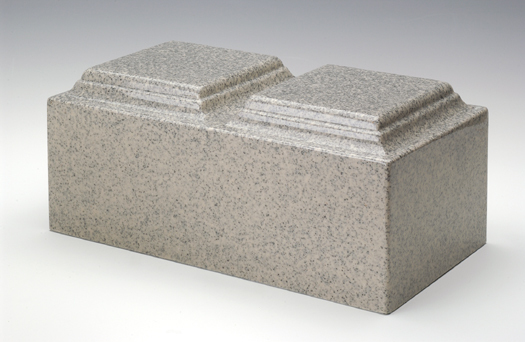 An engraving proof will be emailed to the customer for approval before the urn is engraved and shipped. Please allow 3-4 business days for the engraving process, even for expedited orders.